Pine Grove Plantation is the birthplace of the SC state dog, the Boykin Spaniel and is located near Camden, SC. The property has been meticulously maintained and features a fully restored historic 4 bed/3.5 bath home. Inside you will find 14' ceilings, 8 working fireplaces and heart pine flooring. The kitchen is updated with granite countertops and an large island with a sitting area around a fireplace. 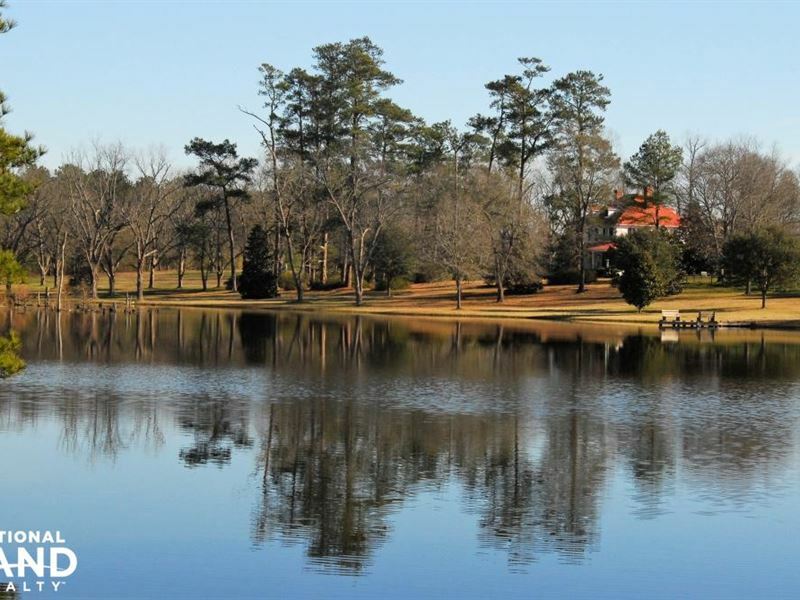 Outside the home you will find a 9 acre stocked pond, guest house, 2 barns, a horse pasture, dove field, quail woods, managed loblolly pine woods, hardwood bottomland and a pecan orchard. Pine Grove is an ideal setting for horseback riding, fishing or hunting deer, turkey, duck and quail. Peaceful, spacious, private, and historic. From 1-20, take exit 98 for US-521 south towards Rembert/Sumter. Go 5 miles to Pinegrove Plantation Circle on right.